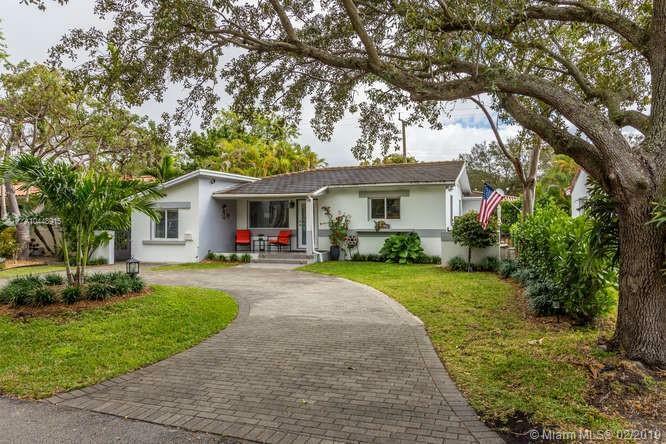 Modern, contemporary Coral Gables Mid century home with 4 bed/3bath + Den. Completely updated with new driveway, new impact windows and doors, new wood deck, new fence, tankless water heater as well as brand new septic tank and also 2 brand new A/C Units. Oversized master suite, porcelain floors, modern kitchen with glass tile and dual color cabinets with quartz countertops, stainless steel appliances. Turn key - move in ready! Must See! Please visit the Virtual Tour with large images and 4 panorama 360 degree images!